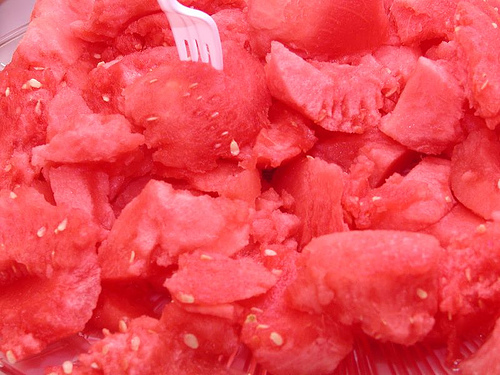 Watermelon is of couse delicious on its own and is a summertime staple. Switch up the traditional tomato based salsa and use fresh fruit! This salsa is delicious with tortilla chips or as a garnish to tacos! Mix together and allow to chill 30 minutes. Serve with tortilla chips or over tacos....fish tacos would be delicious!